At Slots Garden Casino, you can get some great bonuses in the Slots Hero promotion. There are a number of heroes and for this month’s rags to riches hero, meet Aladdin. Each week, a different slots hero is picked. The free spins offered alongside the bonuses are played on the Aladdin’s Wishes slot game. The Slots Hero promotion runs until 10th August 2018 at 23:59. For those who wish to make a deposit of between $30 and $49, there is a 100% match deposit bonus in store. The no max bonus offer comes with 10 free spins on the slot of the week, Aladdin’s Riches. Make a deposit from $50 up to $99, and receive a 125% no max cash out bonus. The bonus comes with 30 free spins on the promotional slot of the week. If you are looking for an even more spectacular bonus offer, look no further. Simply make a deposit of at least $100, and you will receive a 150% match bonus. There is no maximum cash out amount, and it has a whopping 50 free spins on Aladdin’s Wish. Not only do the bonuses have no maximum cash out amount, the free spins also come with no maximum cash out amount. When playing the free spins, make sure to complete all the free games before you move onto another slot or other casino game. The actual bonus amount that is awarded to you is not cashable. It is removed from the total before a withdrawal is made. There is a 5x wagering requirement that must be fulfilled by playing either slots or keno. Make sure to use the promotional code SLOTSHERO to redeem any of these promotional offers. 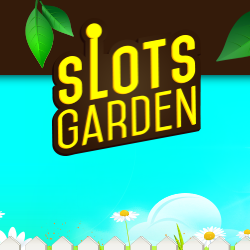 All new players at Slots Garden Casino are offered a special match deposit bonus offer. The 100% match offer helps you to double the amount you play with. If you make a deposit of $50, it will be matched by $50 from the casino, giving you more to wager with. The best part about this promotional offer is that it can be used an unlimited number of times. This means that you get a 100% match bonus on all deposits you make at the casino. The offer is valid for all deposits of $50 and more. Make sure to enter the SLOTS100 bonus code each time you make a deposit in order to redeem this special offer. Last updated by Shannon on July 26, 2018 . Please leave a comment by filling the form below. Your comment will show up after moderated by our administrators. If you want a picture to show with your comment, go get a Gravatar.